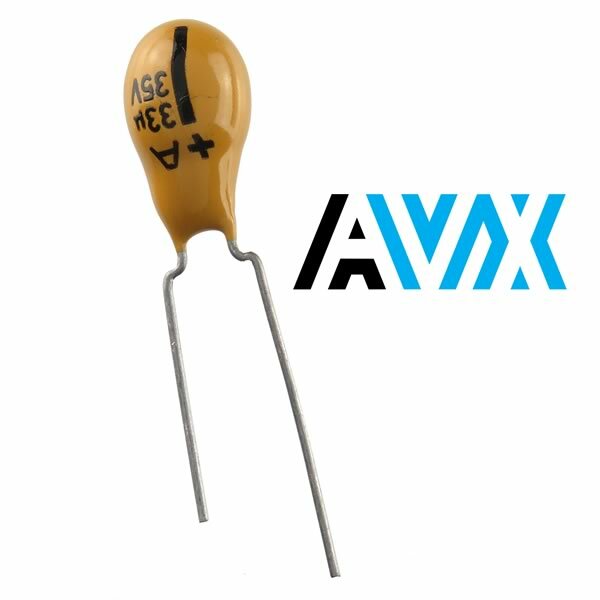 Prime dip tantalum capacitor by AVX is rated 33uF @ 35VDC. Size is VDC. Size is 0.26" diameter x 0.45" tall. Sold in a package of 4.